I never thought that I would ever find myself sat dreaming about sheds, and yet, this is the exact scenario that I now find myself in on a daily basis. The weather here has been touch and go all week with periodic mild showers every evening. We have no shelter up at the plot at the moment, and, as the allotment is a twenty minute walk from home, it’s a bit risky heading up there with the weather being so temperamental. Slowly but surely the desire for a bolt hole is seeping into my very being. The thought of sitting in a little shed, enjoying a freshly made brew whilst watching the heavens open seems like pure bliss. 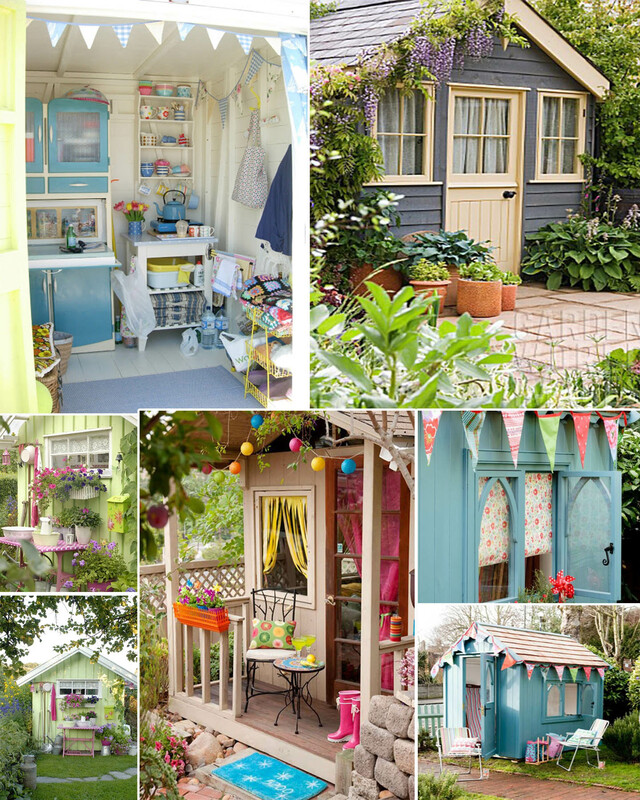 As there’s no-where sensible for a shed to be built on the allotment quite yet my Pinterest is suffering the brunt of this obsession and I just wanted to share with you a little collection of my favourite ideas. Spider filled, musty sheds these are not.